If you are looking for a North American Life Insurance review then you have come to the right place. We love this company. In fact, North American Life currently makes our top ten best life insurance companies in the United States list as well as our list of no exam life insurance companies. 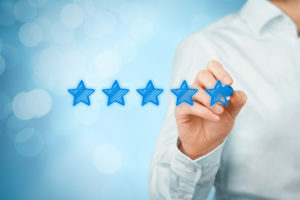 In this review of North American Company Life Insurance, we discuss the company’s pros and cons and offer our readers a recommendation. By clicking “Display Quotes”, you consent for TermLife2Go and partners to use automated technology, including pre-recorded messages, cell phones and texts, to contact you at the number you provided. This includes if the number is currently on any Do Not Call Lists. This consent is not required to make a purchase. TermLife2Go works with North American Life as well as dozens of top rated life insurance carriers. When you apply for life insurance with us we make sure we are placing you with the best company at the best price for you, based on your unique health and lifestyle. Although the Company is often among the most affordable life insurance companies, the question remains: Is North American Insurance the right choice for you? Any good North American Life Insurance review will begin with the company’s rating from A.M. Best. A.M. Best is the premier ratings agency for life insurance and helps give us a clear picture of the health on a life insurance company. As of July 6, 2017, A.M. Best Company affirmed North American Company’s A+ (Superior) rating. This is the second highest rating that A.M Best Company offers. Therefore, you can sleep easy knowing you are in solid financial hands if your life insurance provider is North America Company. North American Insurance is a privately owned company which allows the company to invest in more secure assets. Unlike some of its competitors (think AIG), North American Company for Life and Health Insurance invests in secure instruments, such as U.S. Savings Bonds. This company is a good steward of their client’s money. Yes, you read that right. North American Company for Life will insure up to age 85. Also, North American Company offers some of the best life insurance quotes for seniors. Two great reasons the company is one of a handful of companies we look to when talking to older clients. As of January 30, 2018, North American Company continues its move into the automated accelerated underwriting market with the introduction of the company’s WriteAway accelerated underwriting program. With the new program, approved applicants can avoid invasive lab tests and paramedical examinations. Under the program, eligible applicants ages 50 and under can get life insurance approvals in as little as 48-72 hours. Currently, WriteAway is available for North American Company’s ADDvantage® Term series. And later in 2018, the company plans on offering it with its other life insurance products. North American Company offers strong competition to the current class of carriers that offer some of the more creative and innovative underwriting, such as AIG, Banner, Protective, Prudential and Transamerica. North American offers annuities. Annuities may be a great fit as part of a comprehensive retirement plan. Once a year 10% penalty free withdrawals of the accumulation value after the first year. North American Company for Life and Health has a full range of life insurance policies, including term, universal and indexed universal life insurance. In the following section we will break down the different policies offered and point out some key features and benefits of each. When deciding on what policy is right for you it is important to look beyond price and also consider the long term implications of each. Knowing the difference between term life vs permanent life is critical in deciding what policy will be the right fit for you based on your specific needs and goals. LifeVue Simplified Issue: Simplified issue term life insurance policy available in 15, 20 and 30 year terms. Since LifeVue is a simplified issue policy, the company does require you answer health and lifestyle questions but it does not require a medical exam. Face amounts range from $50,000 to $500,000. Approvals may be less than 30 minutes. ADDvantage Term: Level term life insurance (meaning the face amount and premium remained fixed for the life of the policy), with term lengths of 10, 15, 20, and 30 year terms. North American also offers solid pricing. For example, the companies $500,000 30 year term for a 40 year old male in perfect health comes in at $685 a year or $35 a month. That is competitve with many of the top companies, such as Banner and SBLI. And they are better priced than MetLife, VOYA and Transamerica, to name a few. Consider term life a great option if you need protection for a discernible time frame, such as to cover the primary bread winner while the kids are young, for SBA loan life insurance, or to fulfill the requirements of a divorce decree. Custom GrowthCV: This universal life insurance product is focused on building cash value. The policy comes with a guaranteed death benefit. The policy also offers access to some of the death benefit to meet the financial obligations of a client’s needs due to a chronic or terminal illness. Custom Guarantee: This policy provides clients with a guaranteed death benefit up to age 120 and no premiums are due after age 100. This Universal Life product offered through North American Company for Life is offered for face amounts as low as $25,000. For example, a 39 year old preferred plus male applying for $25,000 would pay $288.75 annually. That same policy is also available for an 85 year old male for $2,499 annually. Custom TermGUL: This policy provides clients on a tight budget with an affordable death benefit along with the opportunity for long-term cash value growth. From North American Company’s website: What differentiates IUL from other permanent life insurance is the way interest is credited to the policy. In addition to the company offering its own declared interest rate, IUL also offers an interest option linked to the movement of a selected stock market index over a specific period of time. Indexed Universal Life offers death benefit protection that lasts your entire life, along with flexible premiums, cash value growth, and many tax advantages. Your policy is indexed to a particular index, such as the S&P 500, DJIA, NASDAQ 100, Euro STOXX 50, Russell 2000 and multi index blend. You can also receive a guaranteed rate in a fixed account. The policy has a floor and a cap. The floor limits your loss so that at a minimum, your interest credited will be 0-1%. The cap limits your potential gains, so that the max cap rate, currently around 12-13%, would limit your gains, even if the index your policy tracks goes up beyond that. Indexed Universal Life works well when you need permanent protection. For example, permanent life insurance for estate planning or for funds to use in a buy-sell agreement is typically the best choice. Key person insurance can also benefit from choosing permanent coverage. Rapid Builder IUL: IUL policy focused more on early cash value growth vs death benefit protection. Survivorship GIUL: this is a great survivorship life insurance policy that would work well for a couple looking to create an immediate estate on the death of the surviving spouse. Waiver of monthly deduction: the waiver of premium rider kicks in 6 months after the insured becomes disabled and waives premiums, fees, etc. for the life of the policy or until the disability is gone. Guaranteed Insurability: provides the owner the option of adding additional coverage with no proof of insurability. This is an essential rider if you are considering life insurance for your kids. Anyone looking for an online review of North American Company will probably be somewhat internet savvy. And most internet savvy consumers are ultimately looking for the best deal available for life insurance. Starting back in 2015 and continuing in 2017, the Company has improved its rates. As a result, the Company ranks in the top five for various face amounts and term lengths. And there are many instances where the Company comes in at the top life insurance rates by age. All sample ADDvantage Term quotes are based on a preferred plus 50 year old male as of September 2017. Life insurance rates are for entertainment purposes and are subject to change. One weakness of North American Company is the same negative that I would have to give to any life insurance company. As great a company that North American is, they are only one of many life insurance companies. Therefore, if you want to make sure that you are going with the best company for you, then you will need to speak with a life insurance agent who works with all the top companies, and can review quotes from multiple carriers. That is where TermLife2Go comes in. TermLife2Go is an agency. We work with dozens of the top rated life insurance carriers in an effort to find you the best whole and term life insurance rates. If you are considering North American Company as your life insurance provider, give us a call and let us take a look around for you. Our #1 priority is to find you the best company at the best price…for you! That means we tailor a policy specifically to you because no two clients are the same. Let us leverage our expertise for you and see if we can’t save you thousands of dollars on life insurance. We do not favor one life insurance company over another. Instead, we find out what you need and then we recommend the lowest priced, best life insurance company to meet your specific need. Therefore, if price matters to you, give us a chance to earn your business. We are here to serve you! For a free life insurance consultation and for free quotes from North American Company and dozens of other top rated life insurance companies, please call us today. We hope you enjoyed our article, North American Company – Sample Rates, Review and Quick Tips. If you have any questions please leave a comment below. We’d be happy to help you out with a quote for life insurance. Give us a call at 888-234-8376. We’d love to help, just give us a call when you get a chance. I have policy with your company for along time. i NEED TO CONTACT YOU AS SOON AS POSSIBLE. PLEASE IF IS POSIBLE, IN SPANISH. You would need to contact North American Life Insurance company directly at 866-322-7065 for more information regarding your policy. We simply won’t have access to any of your information here at TermLife2Go. Wouldn’t your comment referring to AIG be considered “churning”? Not very professional. Can you be more specific with regards to the comment that you’re referring too? We do consider AIG to be one of “Top 10 Life Insurance Companies” that we like to consider, so we definitely don’t want to give anyone the wrong impression. Previous Post: Sagicor Life Insurance Reviews 2018: Get Insured Fast!